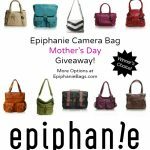 Introducing A New Feature + A SimpleHuman Giveaway ($450 Value)! 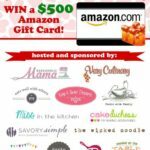 Although I’m super excited about a few recipes I’ve made the last few days, today I want to offer you a super fun giveaway. Today’s giveaway is sponsored by CliqueMe, in collaboration with SimpleHuman. 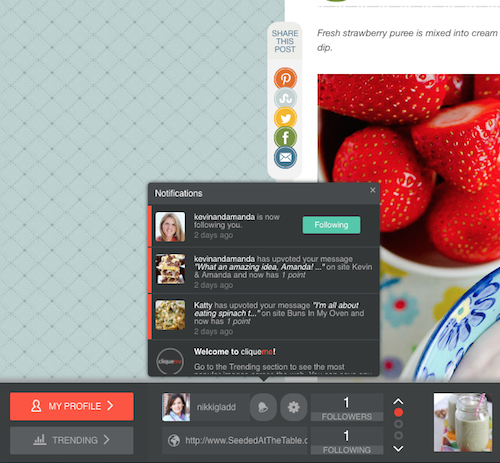 CliqueMe is a new feature I totally want you to start using here at Seeded at the Table. You know how no one really leaves many comments on blogs anymore? Not the traditional way, at least. 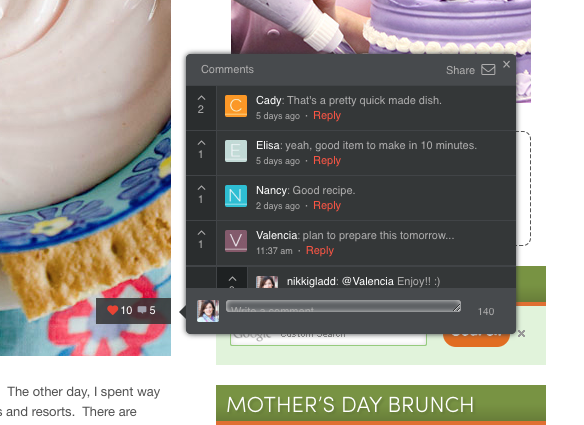 CliqueMe is a new SOCIAL way of commenting! Most of you love social online communities and commenting on photos and clicking a “like” button. Well, guess what? You can do that now here on my blog! This is what CliqueMe is all about! 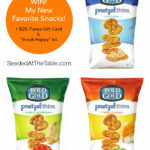 Any photo you see, you can “like” it and/or comment on it! When you hover your mouse over any image, a heart and a comment bubble will appear. Click the heart to “like” a photo and save it to your favorites, or click the comment bubble to leave a comment about the photo. See the photo above? You can even click the comment bubble to read others’ comments! To get started, look down at the bottom right corner of my blog. See the black CliqueMe rectangle? 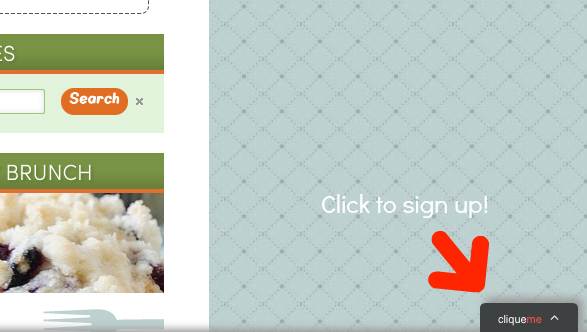 (pictured above) Click on that and a bar will appear with the option to register for your new account. It’s super easy. You can even sign up quickly using one of your social media profiles like Facebook and Twitter. Once you’re signed up, you can start commenting and liking photos right away! Every photo you “like” will be saved as a favorite in your personalized CliqueMe bar that you can access later. You can follow other CliqueMe users and they can follow you! 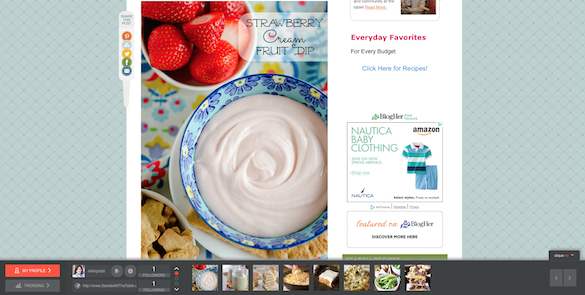 You can browse their favorite photos, and also click on “Trending” to see which recipes are most popular on Seeded at the Table. Such a great way to discover older recipes you may have missed! 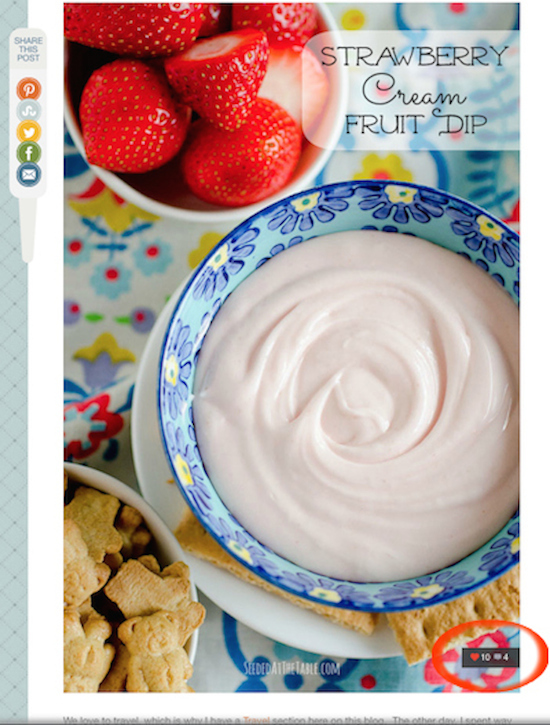 When you click the photo, you are taken directly to that specific photo’s blog post. So convenient! Click the bell icon to see notifications of who started following you and when someone “up voted” your comment. What does “upvoted” mean? It’s like “liking” a comment, or adding a “+1” like on Google+. Now GO and be one of the first to sign up for CliqueMe! It is starting to pop up on websites everywhere, so go get your username while it’s available! To enter the giveaway, you must complete the following two steps: 1) Comment on the giveaway image above using your free CliqueMe profile. 2) Browse the posts on SeededAtTheTable.com and “like” two images using your free CliqueMe profile. Only one entry per person. Must be 18 years or older. Must leave a valid email address. Giveaway closes May 1, 2014. If there are not at least 80 entries by May 1, 2014, the giveaway will remain open until 80 entries is reached. 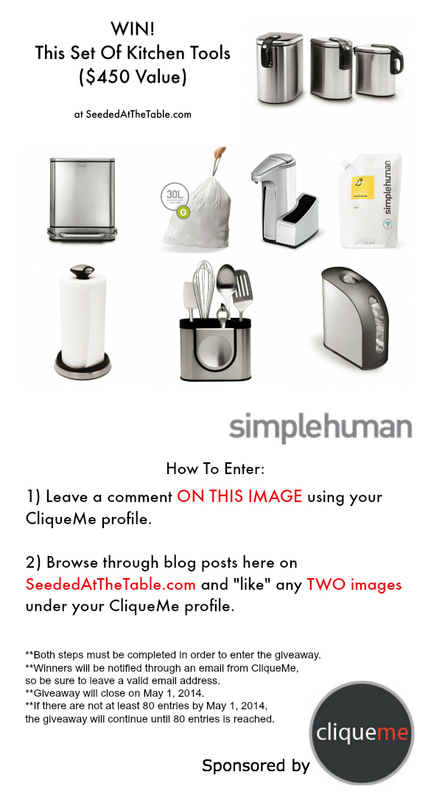 This giveaway is sponsored by CliqueMe in collaboration with SimpleHuman and SeededAtTheTable.com. I love Simple Human! 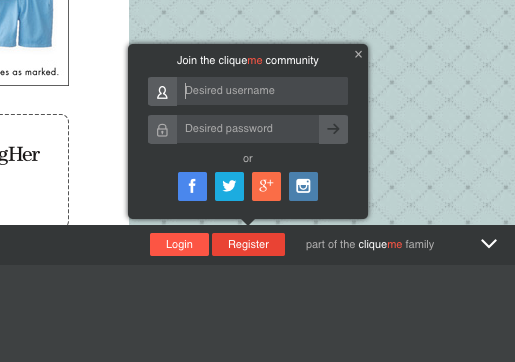 I don’t get the CliqueMe thing though, I clicked on and it didn’t respond, so I could sign in. Hi Marcia, Sorry that happened to you! Maybe try again, and if it doesn’t work try a different browser? I love the new way to enter a giveaway through CliqueMe ! I also LOVE SimpleHuman so much and would LOVE to win this!!! Im so glad I did not miss the giveaway since the date has passed but there are still not 80 entires 🙂 yay, so I made it in.